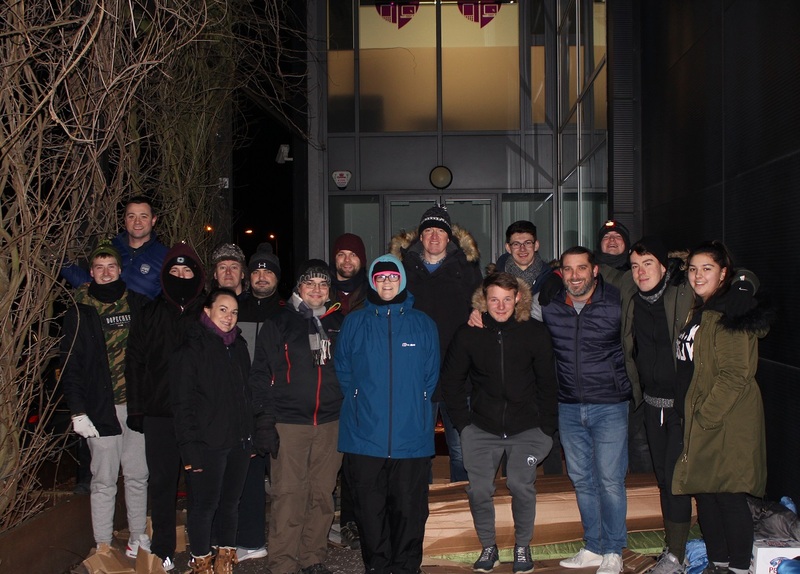 Excalibur Communications and Techs4Education colleagues faced the winter night elements for a charity sleep out on Friday, January 18th, in support of the new Haven Centre being set up by Swindon Night Shelter. In its fifth year of supporting Swindon’s homeless, staff slept on cardboard, in sleeping bags in the company car park. 17 colleagues took take part in the charity initiative and raised £2,000 for the Swindon Night Shelter. This sum has been match funded by James Phipps, Excalibur Executive Chairman, via his Younite charity foundation, to make a total of £4,000. This entry was posted in Charity Work. Bookmark the permalink.